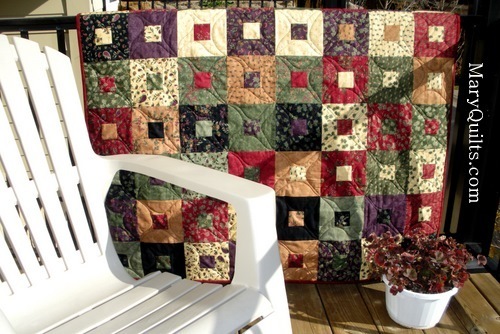 Because my quilts are scrappy and made from stash, fabric yardage calculations for most of my quilt instructions are not available and when included, they are estimates only – click here for more information. 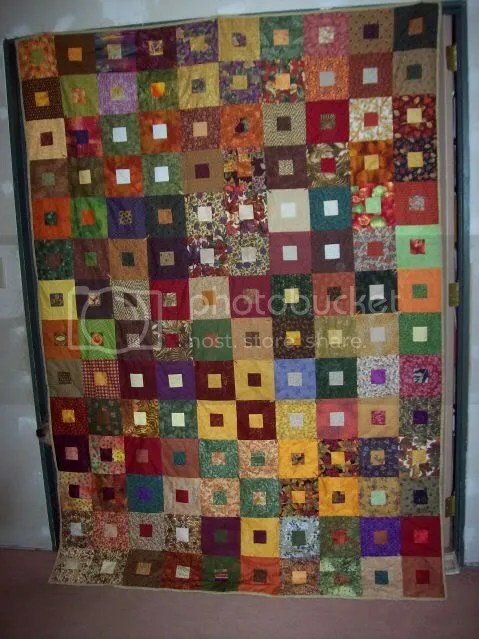 I’m not sure if you will be able to see this picture but I wanted you tosee the quilt made with this pattern. Thanks for posting patterns here. Oh thank you very much for all those patterns!!!! find alot of inspiration!!! Thnk you!!! Thanks for the wonderful pattern! I love simple quilts, and the fabrics you used makes this look gorgeous. The maryquilts.com site is the best sampling of quilts & patterns for using the GO. I have been looking for exactly this simple use for the machine. I would love to see more “how to’s” in this practical way. Wonderful! Yay! I’m always looking for patterns to use pre-cuts in (especially Jelly Rolls) & this is PERFECT! Now just to figure out how to get more hours in the day… LOL! Great quilt! 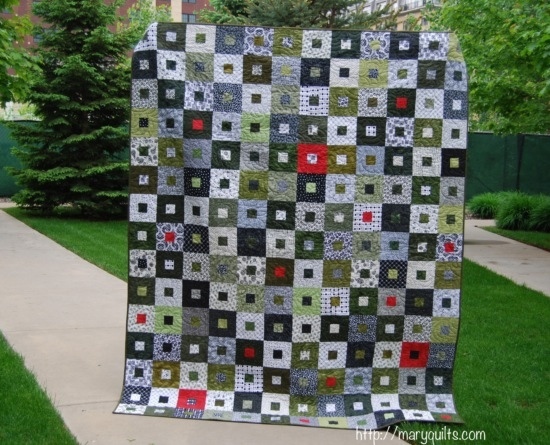 any way…whats your thought on this in a very large quilt? She is requesting 106″x 106″. BIG! for a finished size. If you get a chance I’d love your input. Thanks & congrats on your sweet new lil-blessing coming. love your site. new quilter here and these looks so easy and helpful. Please keep them coming……..would love to see more.